A TOTAL OF 60% of people don’t have faith in CervicalCheck, the national cervical screening programme, according to a new poll. The fallout of the case of Vicky Phelan, a Limerick mother-of-two who had a smear test in 2011 where abnormalities were missed, and who wasn’t informed until last year despite the information coming to light following a 2014 audit, has been causing shockwaves since last week. On Thursday, 43-year-old Phelan settled a High Court damages claim for €2.5 million over her missed diagnosis. Today, the HSE confirmed today that 17 women whose cases were reviewed as part of an audit into the CervicalCheck controversy have died. 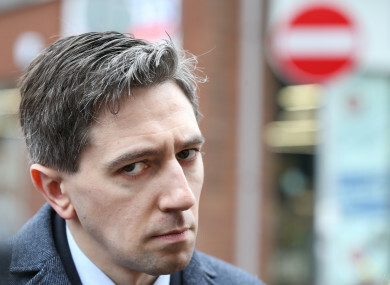 In a statement this evening, Minister for Health Simon Harris confirmed a Hiqa investigation will take place into CervicalCheck, which will place a “particular focus on the quality assurance systems, clinic audit processes and the communications with patients”. According to a poll for Claire Byrne Live by Amarách Research, 60% of people don’t have faith in the CervicalCheck programme. Just 19% of people said they do have faith in the programme, while 21% said they didn’t know. The Claire Byrne poll was carried out earlier today using a panel of over 1,000 Irish adults all aged over 18. Email “60% of people don't have faith in the national cervical screening programme CervicalCheck”. Feedback on “60% of people don't have faith in the national cervical screening programme CervicalCheck”.